It's no biggie as long as they work, they are supposed to work in both models. As with all production changes, some of the old style will be around for a while and remain in circulation. If I had to guess, they probably had the (old) spare mags in the case already, awaiting the switch over to the MkII. Then, once the new gun rolled out, they put in a new mag (probably also fresh from the production line), dropped it into the case, & shipped it out. It's only a big deal if you're one of the OCD types who HAVE to have the same mags :laugh: Even then, you can probably just trade with someone to get all the same type. I am new to the forum but not FN products. I just picked up a new five-seven MKll. It goes nicely with my PS90 and FS2000. My thoughts are about the mags. In the box I received one second gen mag with the ridge on the front lip running down the inside length of the mag. The ridge runs between the bullets. The other two mags do not have the ridge and are first gen mags. I called FN and a tech stated they are the same but for the ridge and work the same. The ridge was there to simplify production. He also stated they have a stockpile of the older style and just pick up mags to put in the pistol boxes. Dosen't make any diff in performance. Anyone have any knowledge as to if one is more reliable than the other. I know on mine the newer ridged one is more difficult to load with shells. Bullsh!t the mag lips break off on the old style. That is why the rib is there and why I make and sell lip protectors for the old style mags. "simplify production" What utter BS. A whole new set of injection molds? New Body? New followers? New springs? ALL had to be redesigned. Too add rib INSIDE to "simplify production"
Thanks for the info. I knew it was crap. But how does the ridge in the front prevent breakage of the lips in back? It is only the front lip that breaks. The main curved ones are steel reinforced. As you can see in this pic it's the front lip that the rounds are dragged across as they chamber is the breaking point. This mag's lips had broken and I installed our protector. Thats funny all three of my magazines are the new style. I just got my mk2 about a month ago so maybe there stockpile ran out. I read this forum just about every other day, but don't post a lot. I saw an ad from CDNN about a month ago for the extensions from CMMG to make the mags 30 rounds for $9.95 and $4.95 shipping. I could not resist and bought 2 at this price. As I live in the desert about 45 miles away from Las Vegas it was a while before I could test them because of the wind here. Took them out last week and they performed flawlessly. Would recommend the for purchase. Hey jim what magazines were hou using the gen 2 with the rib in the middle or the gen1 with no rib? panzermk2 wrote: Bullsh!t the mag lips break off on the old style. That is why the rib is there and why I make and sell lip protectors for the old style mags. etc. Is FN warranty'g the old style mags if the lip breaks off? NOPE and they refuse to sell just the magazine bodies. Actually Jay they do warranty them if they break. This last year I had 2 break that I had not had the time to modify them with your kit yet. 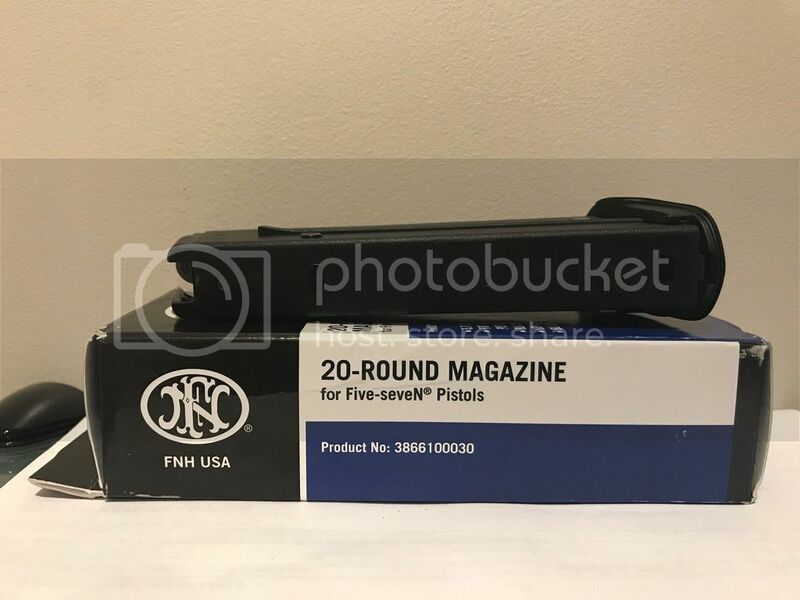 I called FNH and they had me mail them the mags. They sent me 2 of the new versions as replacements. It took about 3 weeks from start to finish. WOW in the past they would not. But then in the past they refused to acknowledge a problem. I have about 20 sitting around with cracked feed lips I have not bothered to fix or throw out. Who did you talk too? bruteandbear1 wrote: Thats funny all three of my magazines are the new style. I just got my mk2 about a month ago so maybe there stockpile ran out. X3. Just got a new Mk2 and all 3 mags were the new style. I just took delivery of a new 5.7 and it came with one new style and two old style mags. I would like to share a brand new clip i received from cheaperthandirt for my MKii. 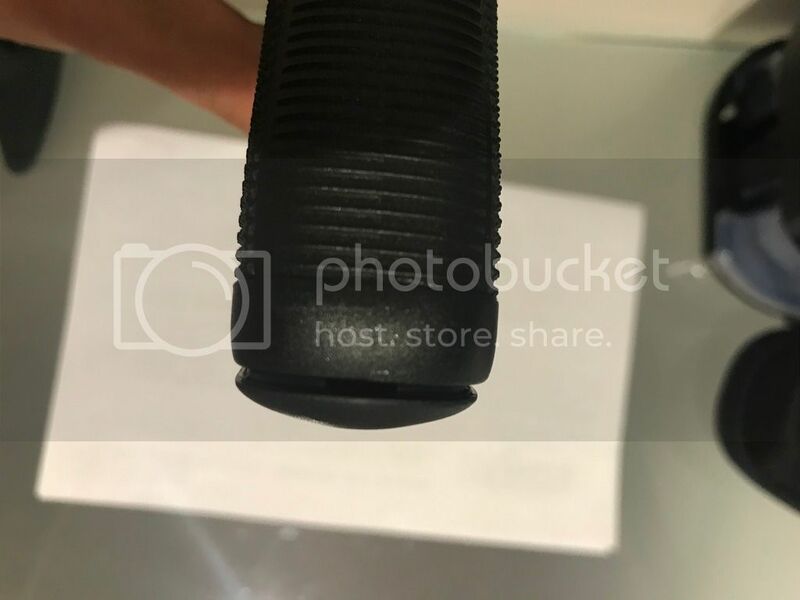 it's suppose to be an OEM, this clip looks different from all the ones posted and i also wanted to get some input on the space between the clip and the handle along with the separation down the middle when looking down the clip.